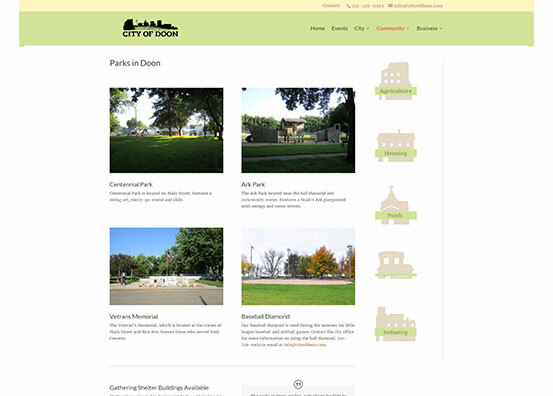 The City of Doon, located in Lyon County, Iowa, is a small town, but is steadily growing. 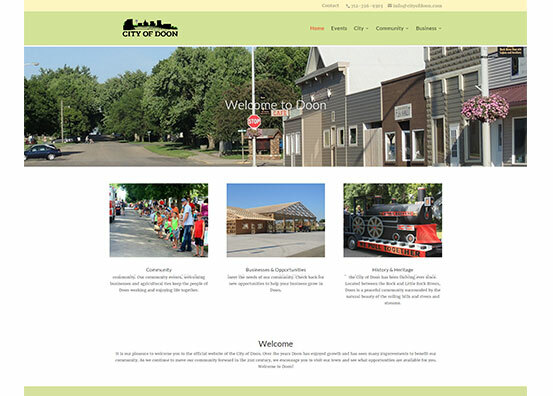 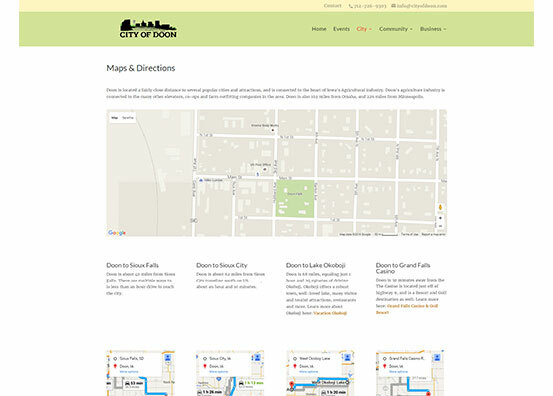 City officials from the City of Doon asked us to add their presence to the world wide web with a website. 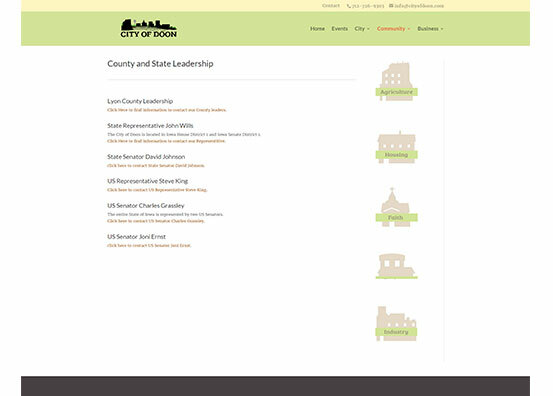 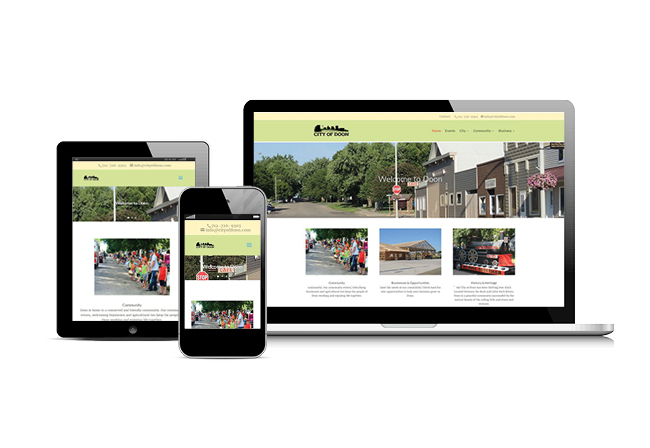 The site that we created for them is tailored to their community, and shows off a great events calendar, map page, county & state leadership page and more!